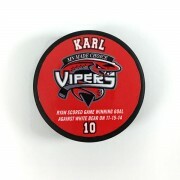 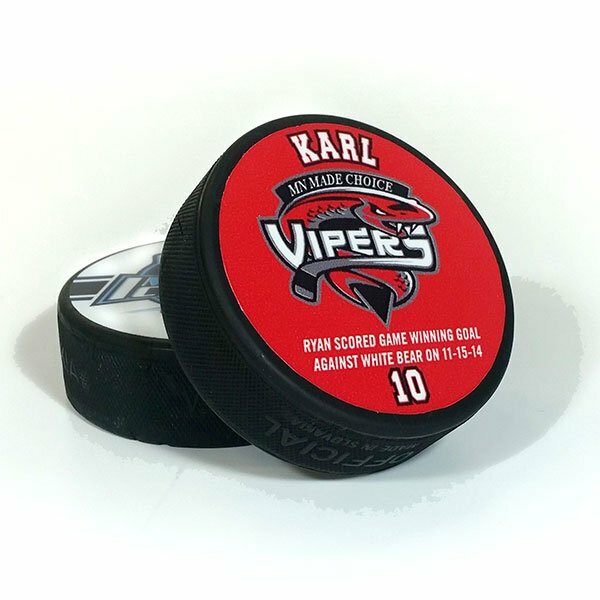 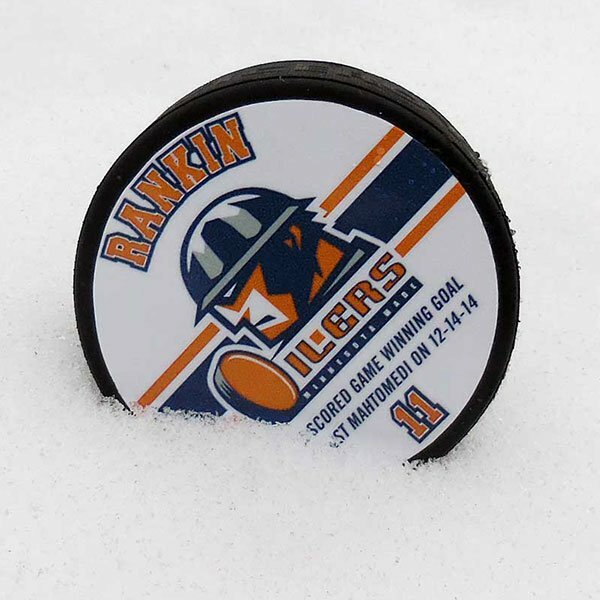 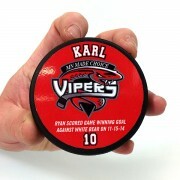 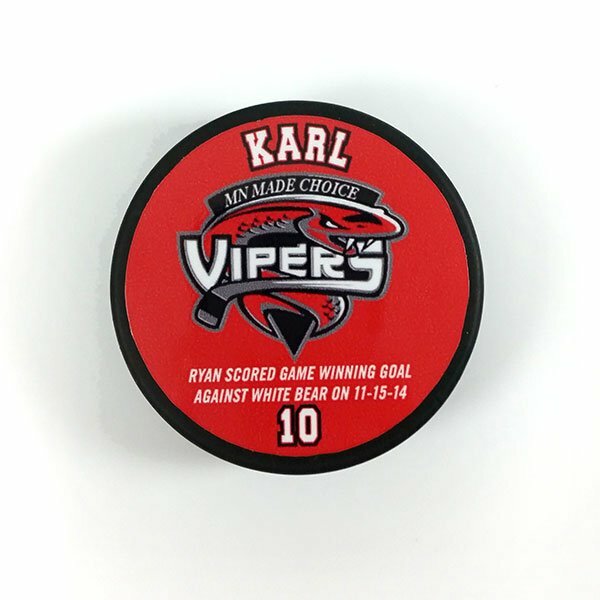 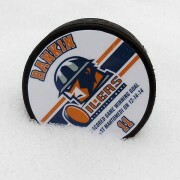 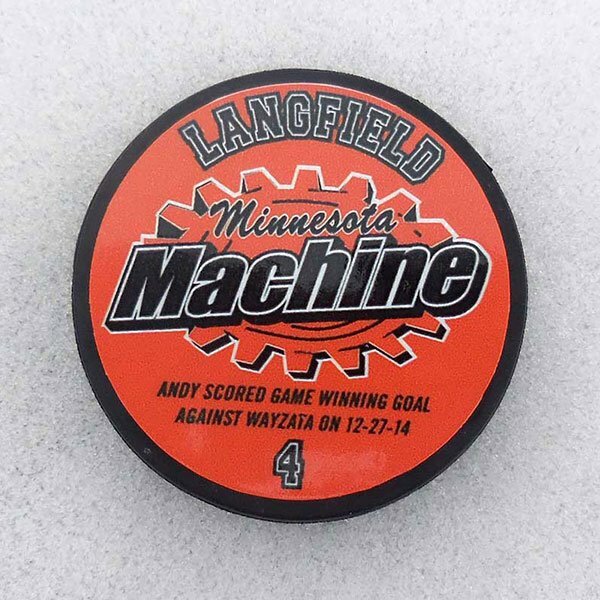 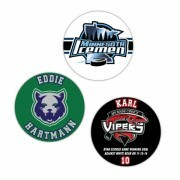 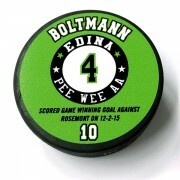 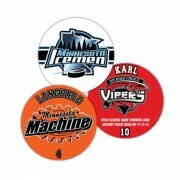 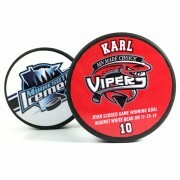 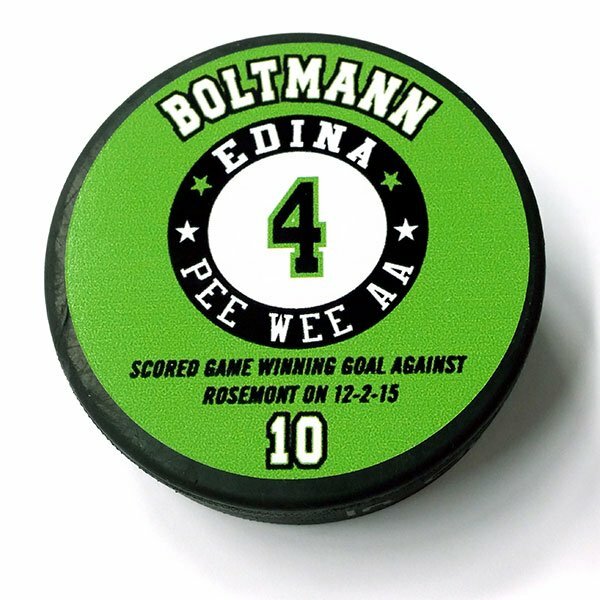 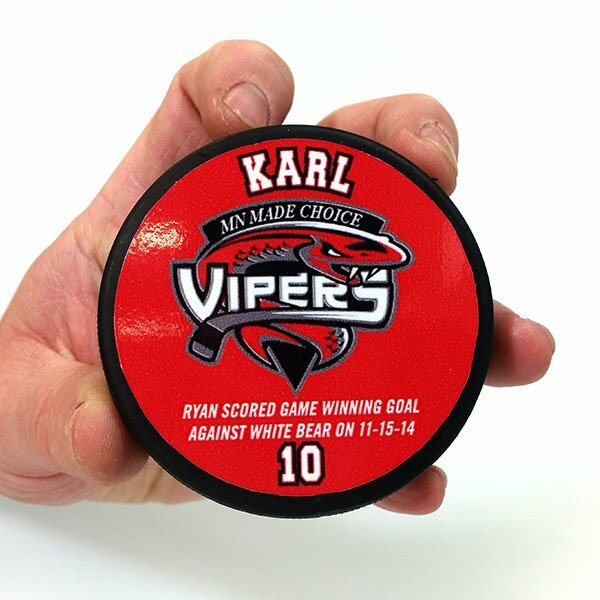 3″ diameter decal with team mascot. 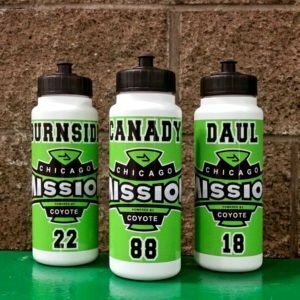 Great end of season banquet favor. 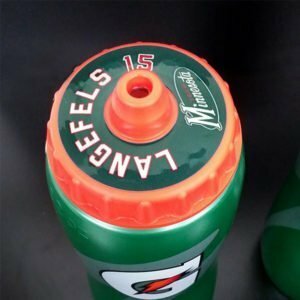 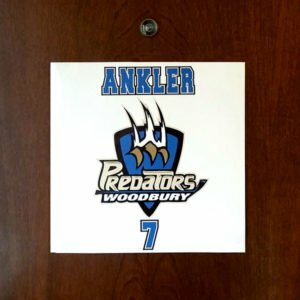 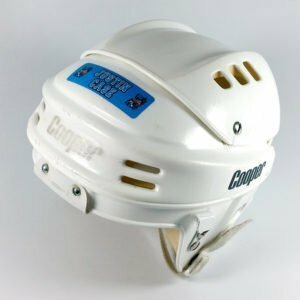 Commemorate great accomplishments with custom decals; includes team mascot, player last name, number and team accomplishment. 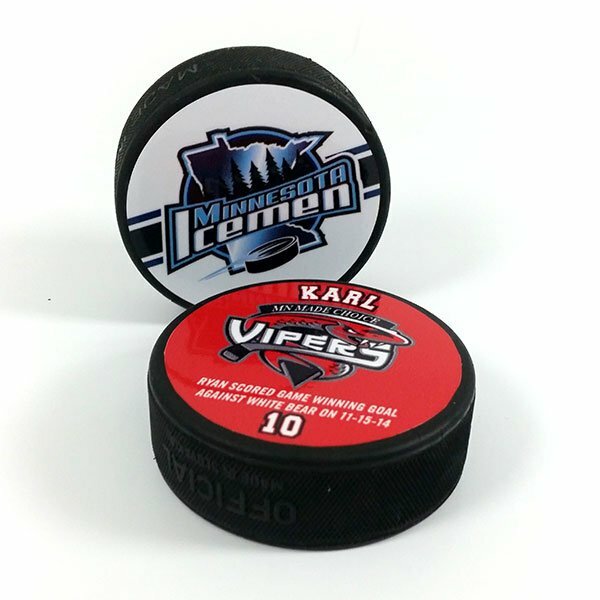 Puck is NOT included.